A beautifully crafted, highest quality bread knife - an essential item for any kitchen and would make a thoughtful gift for any budding bakers. 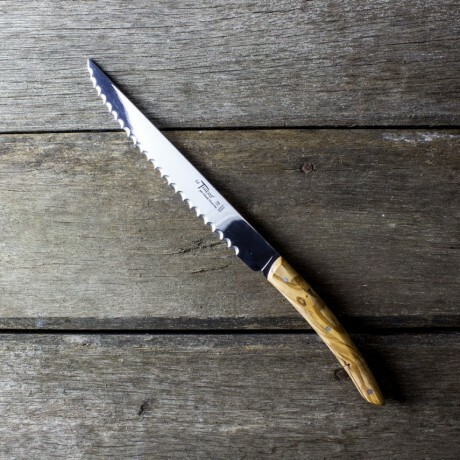 Stunning olive wood handle with natural, unique grain. 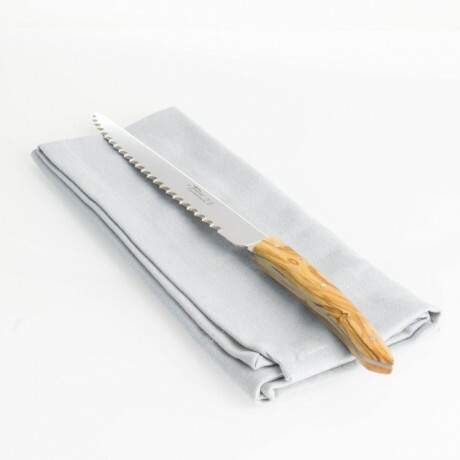 The Dozorme company exquisitely makes a wide range of slicing and serving utensils that ensure flawless cheese platter presentation. Today, the history of a Claude Dozorme knife is inseparable from the choice of steel. 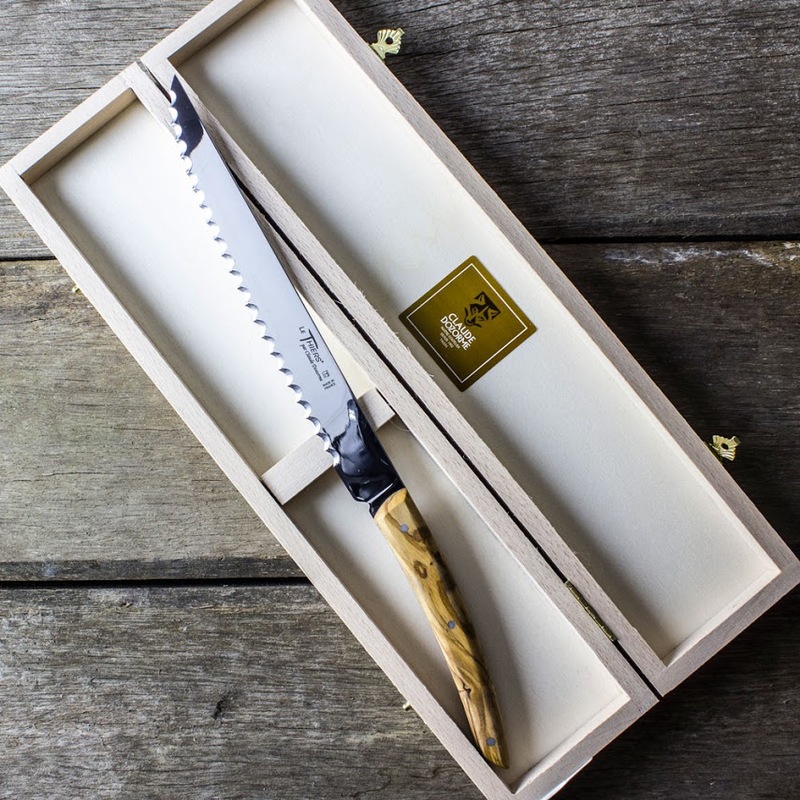 Exceptional cutting edge, simple sharpening, hardness of the blade… these are all qualities that are inherent to the steel used to make the knife. Whether stainless or Damascus, the steel undergoes a strict selection process to ensure it fully conforms to the brand’s quality requirements. Each year, the company converts nearly 10 tons of steel from major steelworks in France, Germany or Sweden.